At JC Powder Coating, each item is carefully inspected and treated before being powder coated. Each piece, regardless of condition (new or in need of restoration), is prepared by cleaning, outgassing, and media blasting (sandblasting) to remove rust, oils, and mill scale. This brings each piece to a bare metal state. A phosphate coating is also used to treat the pieces. Once the initial stages of the preparation are complete, a water break free test is performed to ensure the pieces are properly cleaned. A clean surface is key for proper powder adhesion. If an item has areas that do not need coating, those areas are masked or plugged. 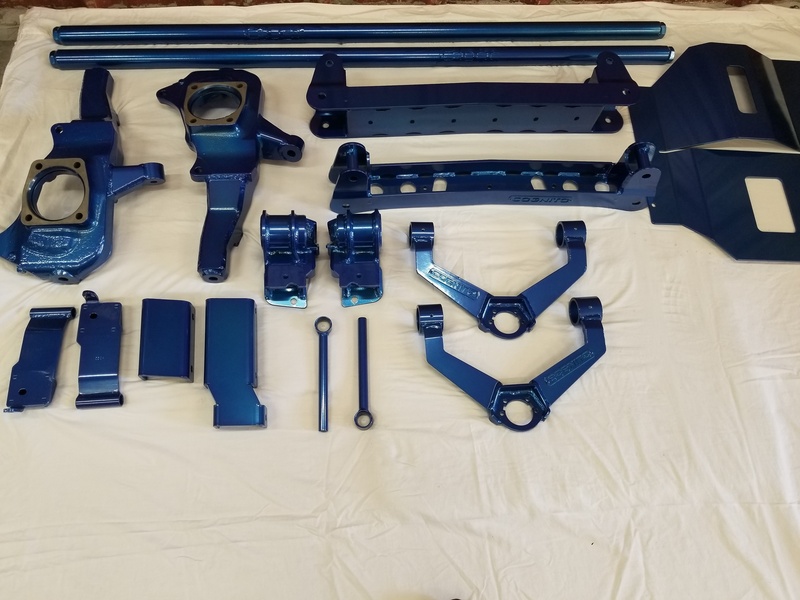 JC Powder Coating specializes in automotive, motorcycle, ATV and UTV parts. Every day items can also be powder coated at the shop including patio furniture and household items. We also have the ability to handle large commercial and industrial jobs. Call JC Powder Coating today to discuss your project in detail! It’s tough. It looks great. And it lasts a long, long time. In addition to being durable, powder coating is an attractive choice due to environmental advantages. Powder coating uses a spray gun, which applies an electrostatic charge to the powder particles, which are then attracted to the grounded part. After application of the powder coating, the parts enter a curing oven where, with the addition of heat, the coating chemically reacts to produce long molecular chains, resulting in high cross-link density. These molecular chains are very resistant to breakdown.